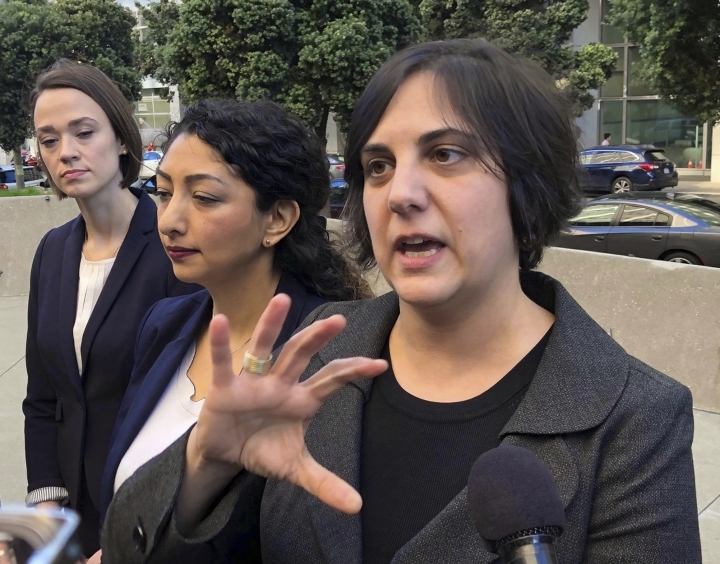 SAN FRANCISCO — A lawsuit accusing the Trump administration of denying nearly all visa applicants from countries under President Donald Trump's travel ban will move forward, a U.S. judge said Thursday. Judge James Donato heard arguments on the administration's request that he dismiss the lawsuit. The case was "not going away at this stage," he said at the close of the hearing. The plaintiffs say the administration is not honoring a waiver provision in the president's ban on travelers from five mostly Muslim countries — Iran, Lybia, Somalia, Syria and Yemen. The U.S. Supreme Court upheld the ban in a 5-4 ruling in June. The waiver provision allows a case-by-case exemption for people who can show entry to the U.S. is in the national interest, is needed to prevent undue hardship and would not pose a security risk. The 36 plaintiffs named in the lawsuit include people who have had waiver applications denied or stalled despite chronic medical conditions, prolonged family separations, or significant business interests, according to their attorneys. They estimate tens of thousands of people have been affected by what they say are blanket denials of visa applications. 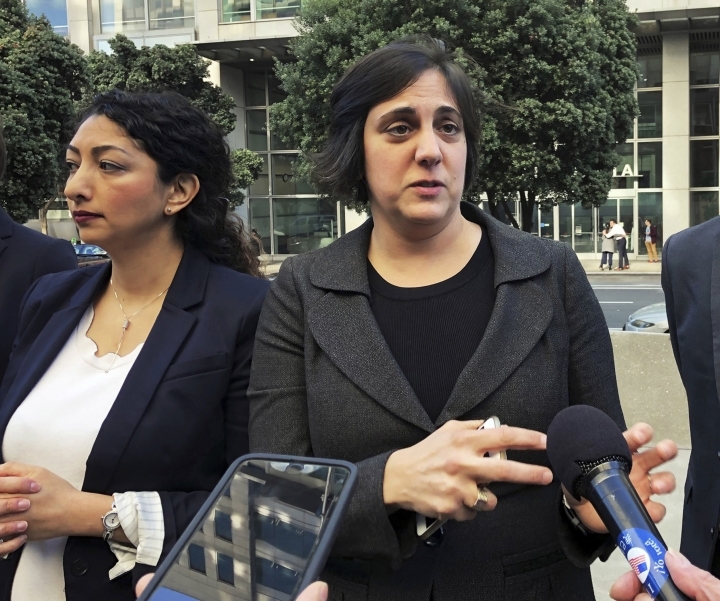 At Thursday's hearing, Sirine Shebaya, an attorney for the plaintiffs, said officials considering the waiver requests are not following guidelines and are routinely denying people the opportunity to show they qualify for a visa. Justice Department attorney August Flentje said consular officials are working "tirelessly" on visa applications using guidelines from the State Department. He said decisions on visas are beyond judicial review, and he accused plaintiffs' attorneys of a "kind of micromanagement" of those decisions. Donato said he did not have to consider any specific waiver decision, but more broadly whether officials were considering applications in "good faith" and not stonewalling. Roughly two dozen opponents of the travel ban — some wearing stickers that read, "No ban, no wall," — came to the courthouse for the hearing.